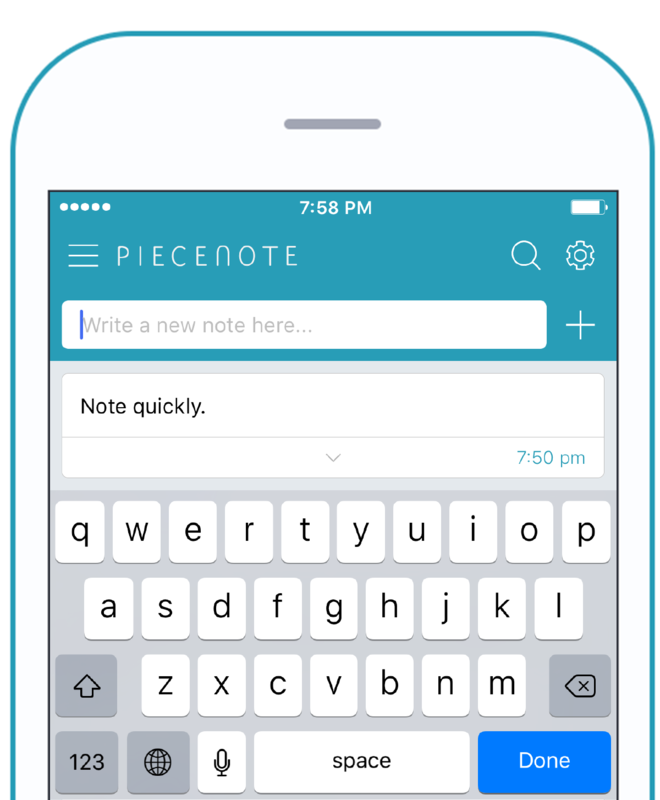 The simplest note app for iOS. Just type in the text box and touch "Done" the button on your keyboard. 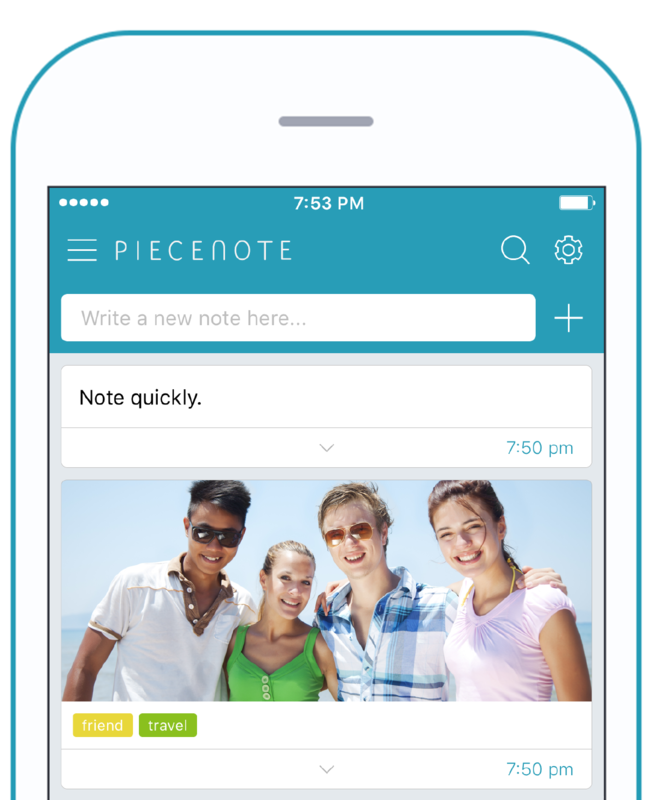 No need to change screens to add new notes.Write your notes quickly before your forget your fabulous ideas. 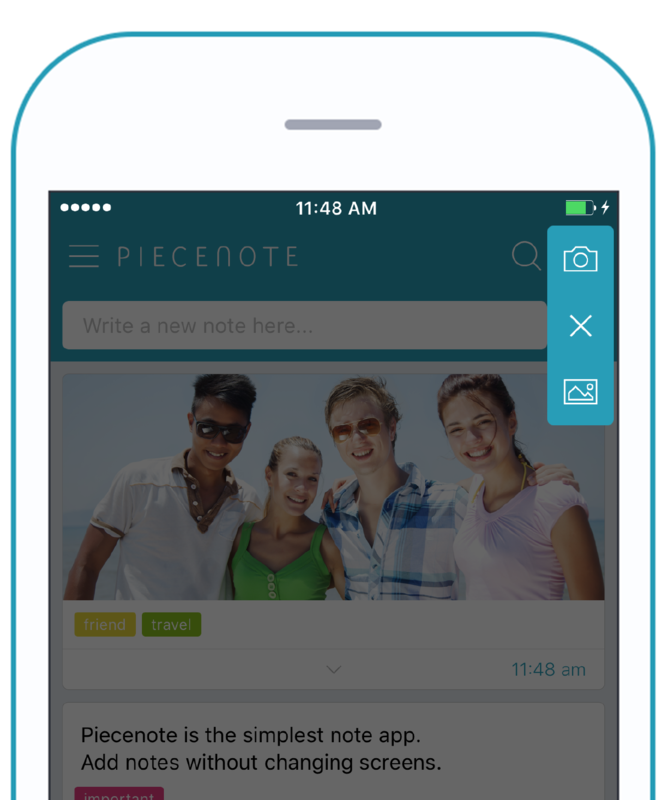 Just swipe to add photos from camera or your photo library.Check out text notes and photos in one view in the same timeline. 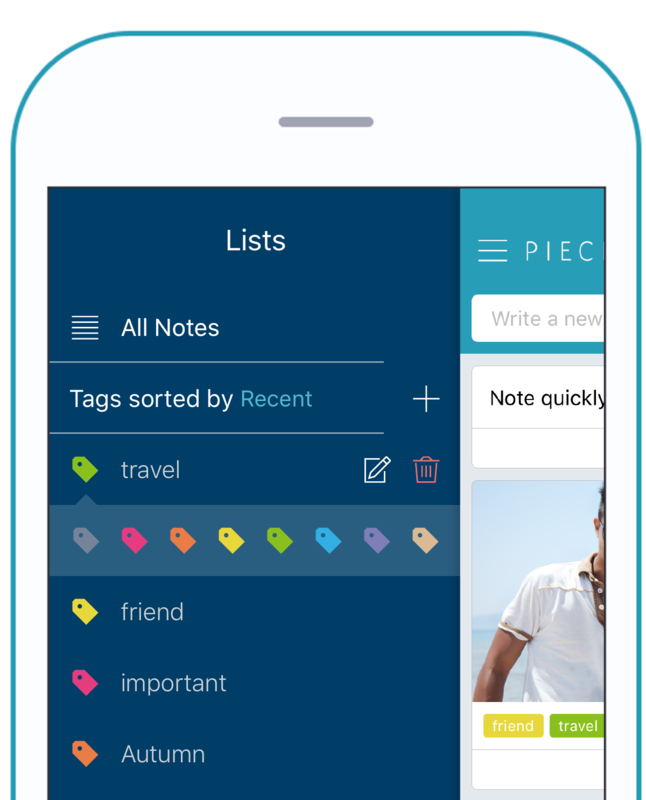 Tags your notes, and select colors.Review your notes by their tag name. 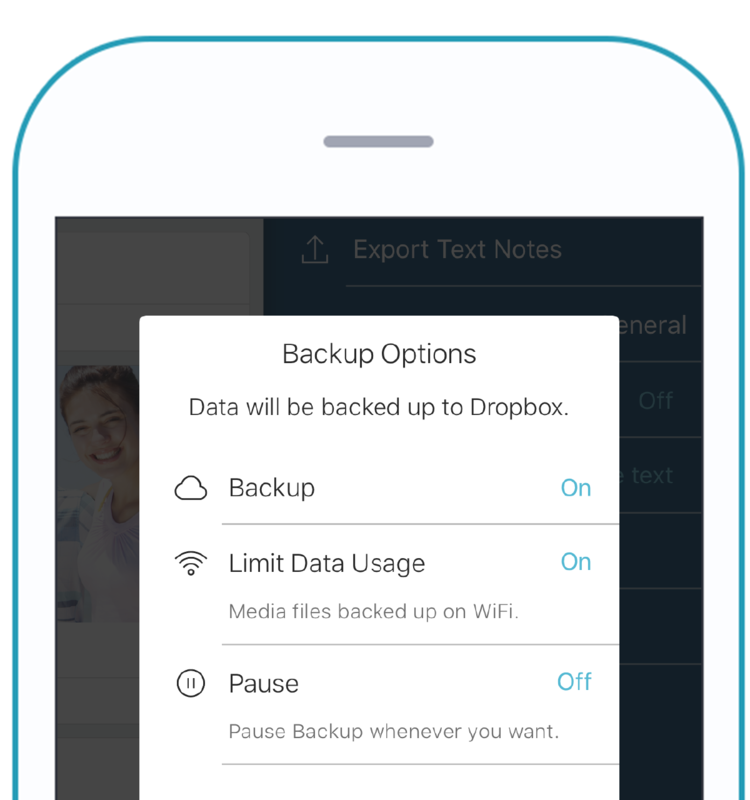 Backup your data to Dropbox immediately.You can also limit Data Usage and backup larger files when you're connected to WiFi. © 2018 Piecenote Inc. All rights reserved.